As a child Julia Forrester spent many idyllic hours in the hothouse of Wharton Park, the great house where her grandfather tended exotic orchids. Years later, while struggling with overwhelming grief over the death of her husband and young child, she returns to the tranquility of the estate. There she reunites with Kit Crawford, heir to the estate and her possible salvation. When they discover an old diary, Julia seeks out her grandmother to learn the truth behind a love affair that almost destroyed Wharton Park. Their search takes them back to the 1930s when a former heir to Wharton Park married his young society bride on the eve of World War II. When the two lovers are cruelly separated, the impact will be felt on generations to come. Lucinda Riley skillfully sweeps her readers between the magical world of Wharton Park and Thailand during World War II with irresistible and atmospheric storytelling. Filled with twists and turns, passions and lies, and ultimately redemption, The Orchid House is a romantic, poignant novel that became an instant bestseller in the UK and Germany. 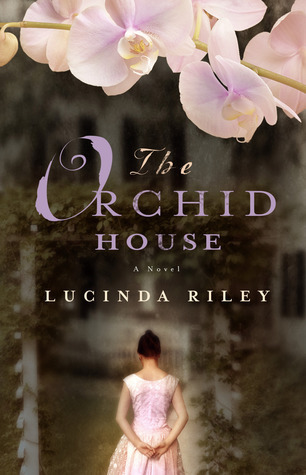 The Orchid House is a tantalizing story involving a grieving heroine, a secret diary, an ancient mansion, and long buried family secrets. The story’s main character is Julia who is grief-stricken over the death of her husband and son. She returns to her roots – a dilapidated mansion where she once spent countless hours with her grandfather in the conservatory watching him tend to orchids. There she meets the heir to estate and a friendship is sparked between them. The discovery of an old diary, long forgotten, sweeps Julia into the past where she uncovers family secrets and which ultimately help her heal. Told through some flashbacks between the present and the past, these tantalizing reminisces helped build momentum and kept me enthralled to read further. The story held my interest with its twists and turns and fascinating characters. I immediately sympathized with the heroine whose grief and pain, as well as her gradual healing, was well portrayed. I especially enjoyed how the theme of a rare orchid flowed from start to finish. I cannot say enough about how lovely this book is to read. Utterly beautiful! Completely satisfying! A great review this is going straight on my wishlist, especially as last year we went to Thailand for the first time and loved the people and the country.